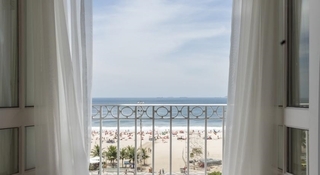 Beautifully located in the tropical surroundings of Copacabana, this hotel enjoys an ideal setting on the beachfront. 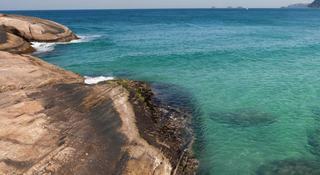 Within 50 metres of the hotel, lie the enchanting beaches of Copacabana, Ipanema and Arpoador. Within a short distance of the hotel, guests can enjoy the delights of Henrique Lage Park and the breath-taking Sugarloaf mountain. Guests can enjoy a refreshing drink in a nearby bar, or indulge in a delicious meal in a local restaurant. This hotel boasts access to numerous public transport links, including the Arcoverde train station, which lies just 1 km from the hotel. 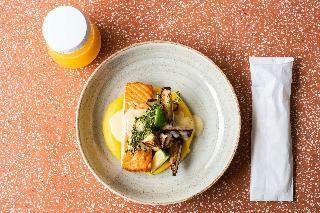 This hotel instantly impresses guests with its modern architectural style and welcoming staff. The guest rooms are spacious and comfortable, elegantly decorated with modern furnishings and rich fabrics. Business guests can avail of the conference facilities located on site. This attractive hotel is superbly situated in Copacabana and is only separated from the beach by the Avenida Atlântica coastal road (50 m). Breath-taking views of the beach are to be enjoyed from the hotel. Numerous shopping and entertainment facilities are just a few minutes' walk from the hotel. The local airport is about 30 kms away, whilst the centre of Rio Branco is roughly 20 kms from the complex. Renovated in 2002, the hotel includes 216 rooms over 15 floors. Guests are welcomed in the large foyer where 3 lifts are ready to take them up to the comfortable accommodation units. All rooms are fitted with individually controlled air-conditioning for maximum comfort. The hotel also offers many leisure activities and ample dining options.Please note that an optional tourism fee of R$ 7 is charge per room per day. This city beach hotel enjoys an excellent location just 200 m from Flamengo beach and the Aterro do Flamengo park. Copacabana is just 10 minutes away. The hotel is a 5-minute drive from downtown Rio de Janeiro and Santos Dumont Airport, and the bus station Rodoviária Novo Rio can be reached within 10 minutes by car.Built in 1924 and renovated in 2008, this 117-room hotel offers all the services required to create an enjoyable stay. Its fully air-conditioned lobby features a 24-hour reception, hotel safe and lift access. 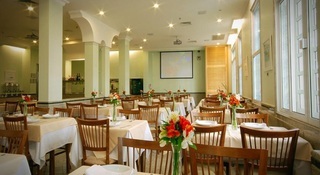 There is an on-site restaurant and Internet access is provided in public areas. For guests away with work, there is a business centre in the hotel. A laundry service also features.The en suite (bath/shower) apartments feature a direct dial telephone, cable TV, radio, Internet access, a minibar and an ironing set. They also come equipped with double beds, individually regulated air conditioning units and electronic in-room safes. The deluxe apartments feature hot tubs. We grant gratuity for a child up to 12 years old in the same apartment as the parents. Other children, even if under 12 years old, will pay as adults. A buffet-style breakfast is served. Lunchtime and evening meals are served à la carte. Boasting a rooftop pool with stunning sea views, Hotel Fasano Rio de Janeiro offers luxurious beachfront accommodations on Ipanema Beach. The property also offers a spa and wellness centre.Elegantly decorated, rooms at this 5-star hotel feature a balcony, air conditioning, a flat-screen TV with satellite channels, a minibar and a private bathroom with a hairdryer and a bath or shower. The spacious rooms also offer hardwood floors and high quality wood and leather furniture. 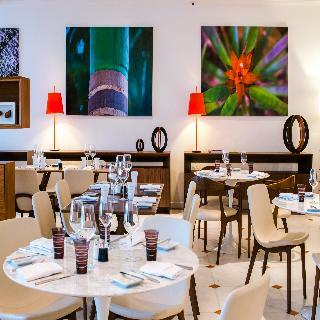 This elegant luxury hotel is located in the centre of Copacabana, adjacent to the world-famous sandy beach. The international airport is some 20 kms away making it an ideal location accessible to everyone. Business guests may take advantage of the various conference rooms so they can maintain their work rate whilst travelling. This hotel stands out both architecturally and in terms of quality. Guest rooms are designed with themes of intense luxury and elegance. 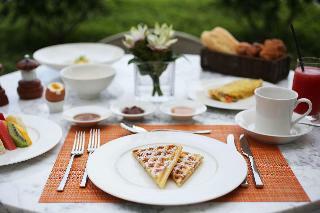 Instilling a sense of tranquillity and rejuvenation, guests are provided with the utmost of comfort. 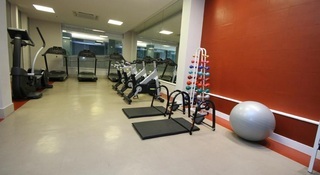 Guests wishing to remain active can enjoy a workout in the hotel gym or a game of tennis. Guests can enjoy a buffet style breakfast each morning and may choose to indulge in the evening in the hotel's delectable dining options for a tantalising sensory experience. This luxurious hotel is located in Teresopolis. The property features a total of 34 bedrooms. The premises offer accessible public areas. This establishment does not accept pets. This accommodation takes pride in offering some health and wellness facilities, ideal for relaxing and having a healthy and fit body. The varied entertainment offer at Fazenda Suica Le Canton guarantees its guests will enjoy their stay.